Simultaneously funding a school for gifted youngsters and a militarized team of super powered mutants can become an incredibly expensive venture. Bills pile up, and eventually someone will have to pay them. Luckily for Charles Xavier and 20th Century Fox, they won’t have to worry about whether or not crowds will flock to see X-Men: Apocalypse this weekend. The latest film in the X-Men saga hasn’t even opened yet, but it has already put up some insane box office numbers. Although X-Men: Apocalypse has not even opened in the United States yet, Variety reports that the mutant adventure has already accumulated roughly $130 million at the international box office. Opening one week ago in 77 markets, the latest installment in Fox’s major superhero universe pulled in roughly $101 million over the course of its first weekend. This good fortune is expected to continue, as Apocalypse is currently tracking to win Memorial Day and take in a weekend profit roughly $80 million when it opens domestically tomorrow. 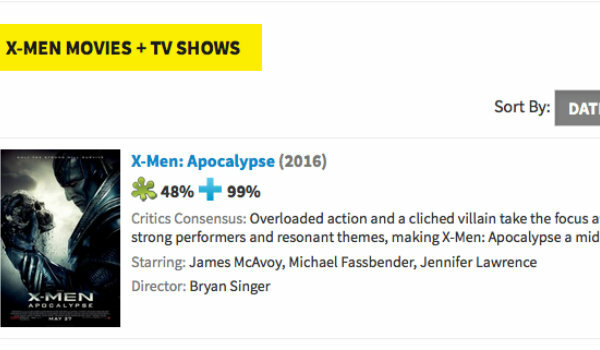 The numbers being put up by X-Men: Apocalypse are made all the more impressive when we consider the fact that it’s not doing very well with critics. As we reported yesterday, the film screened for critics earlier this month, and that plan seems to have backfired somewhat. Not only has X-Men: Apocalypse gone on to become certified "Rotten" on Rotten Tomatoes, it has also become the lowest rated movie in the proper X-Men continuity. That being said, it’s still an incredibly enjoyable movie going experience – particularly in 3D format – and it’s nowhere near as bad as some people have claimed. Of course, the strong start overseas shouldn’t come as a huge shock to many. X-Men: Apocalypse is a special effects-driven superhero film, and it’s one of the few in the genre to feature a relatively diverse cast of multicultural actors and characters. These ingredients tend to represent strong indicators of financial success overseas – although it still remains to be seen how well the film will do in the United States when it opens this weekend. Will you be among the crowds seeing X-Men: Apocalypse this weekend, or will you wait for the home release? We will keep you up to date with all of the latest and greatest news pertaining to X-Men: Apocalypse as it becomes available to us. The latest installment in Fox's mutant universe opens tomorrow. Stay tuned for more details.